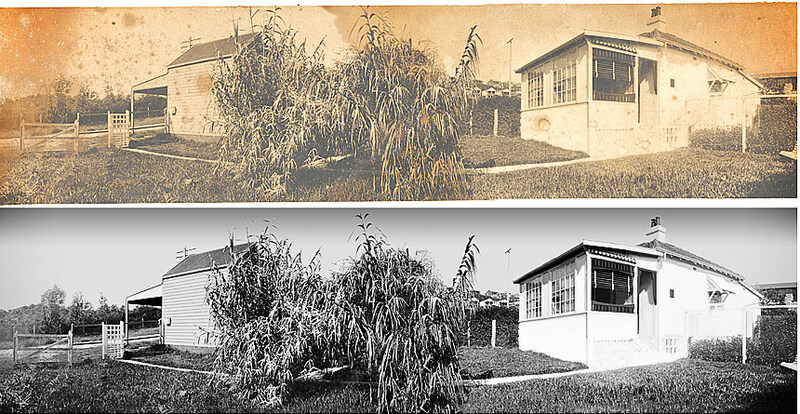 Restoring Photographs is part art, part science. We have perfected techniques that allow us to quickly renovate old photographs. 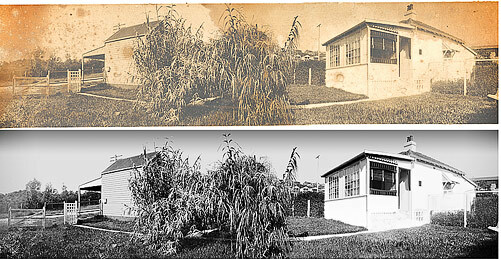 Restoration of old photograph. Approximately one hour to clean and restore this 7x5 inch photograph, and to print at A4 size. The process involved removing the obvious colour cast, rips and other surface damage, and smoothing the "blotchiness" - the variation in contrast left by the staining. We then employed our special brew of enhancing techniques to remove excessive grain without decreasing sharpness, and to increase the apparent sharpness without increasing grain. If you have a good quality scan of your image we can work from that, if you have a poor quality scan, send it to us anyway and we can give you a price. Otherwise, post your photos to us and we will produce a quote for you before we start work. The amount of time it takes varies hugely with the state of the original images. The examples on this page are fairly straightforward. Both would take around an hour to restore. Restoring several photos at once also reduces costs. See our rates page. Files can be returned in digital form for you to print, or can be printed in house on fine art, archival matte and photographic papers. Most are rated at 60-80 years. Please let us know your preference with your order.